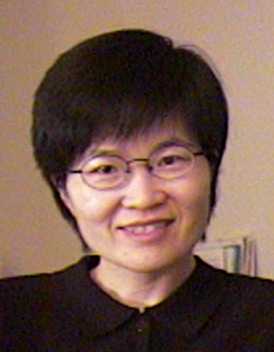 Sun-Ah Jun is Professor in the Department of Linguistics at the University of California, Los Angeles (UCLA). She received her Ph.D. from the Ohio State University in 1993 and has been teaching at UCLA since. She also taught at the Linguistic Society of America (LSA) Summer Institute in 2001 and the Netherlands Graduate School of Linguistics (LOT) Summer School in 2013. Her research focuses on intonational phonology, prosodic typology, the interface between prosody and the various subareas of linguistics, and language acquisition. She has published the book, The Phonetics and Phonology of Korean Prosody: Intonational Phonology and Prosodic Structure (Garland Publishing, Inc., 1996) and edited two volumes on prosodic typology: Prosodic Typology: The Phonology of Intonation and Phrasing(Oxford University Press, 2005) and Prosodic Typology II: The Phonology of Intonation and Phrasing (Oxford University Press, 2014). Abstracts are solicited for the first joint meeting of the ICKL (International Circle of Korean Linguistics) and the Harvard-ISOKL (International Symposium on Korean Linguistics) to be held on July 24-26, 2015, at the University of Chicago, in conjunction with the Summer Institute of the Linguistic Society of America. We welcome abstracts for papers on any aspect of Korean language and linguistics, with a special session on theories of Korean linguistics based on large corpora or datasets. The abstract must be submitted as a one-sided, single-spaced page, 1-inch margins all around, and in Times 12 point font. Format can be .pdf or .doc. If your abstract includes any special fonts, please submit your file as a .pdf format and embed the special fonts into the document. The content can be whatever combination of text, figures, tables, and examples. References can be optionally given on the 2nd page.